Judges are often accused of being detached from the world that the rest of us inhabit. It’s not hard to see why. They are still mostly white and male. Most of them went to private school and Oxbridge. They really have been known to ask questions such as, who are the Beatles? ; what is a thong? ; and (my personal favourite), whether a defendant who said he’d been to a McDonald’s restaurant had booked a table. Just once in a while, however, you get a court judgement that radiates so much good sense and humanity, you realise that, on one important issue at least, this judge is no different from we ordinary folk. The recent High Court judgment about treatment of 17-year-olds in police custody is one such rarity. Last week’s ruling by Lord Justice Moses overturns an anomaly which allows police to treat 17-year-olds as adults, and thus deprive them of protections afforded younger children, including the right to have a parent with them. According to the National Appropriate Adult Network (NAAN), some 75,000 17-year-olds are held in police custody in the UK every year, and so likely to be better protected in future. The judgment followed a legal challenge by 17-year-old Hughes Cousins-Chang, who had been arrested in south-east London on suspicion of robbery of a mobile phone. When the college student asked if his mum could be told where he was, the police said no. When she found out about his arrest some four and a half hours later, the police wouldn’t let her speak to her son. After being strip searched and held for 11 hours, the boy was released; no charges were ever brought. If that had been my 17-year-old being held and me being refused all contact, I dare say I would have been a basket case when he was finally released. I’m delighted, therefore, that Lord Moses ruled the provision which allowed police to treat Cousins-Chang as an adult was a breach not just of his human rights but also those of his mother. The judgment rather wonderfully sums up what being the parent of a teenager is about and is worth quoting at length. Earlier in the case, Lord Justice Moses had commented that, if it had been his children being detained, ‘my 17-year-olds would not have had a clue’, about what was happening to them. 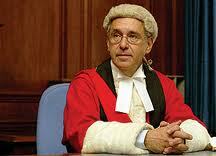 Now, I am unlikely to ever meet Lord Justice Moses’ children and know nothing about them. However, I would guess that the offspring of an appeal judge are likely to be better educated and more articulate than most – and possibly have a smattering of legal nous. If even they would flounder when thrust into the alien and hostile environment of a police station, what hope an average 17-year-old? What hope an average 17-year-old like Edward Thornber, who killed himself after being arrested for smoking dope? Or, 17-year-old Joe Lawton, who took his own life after being arrested for drink driving. In both cases, the police dealt with the boys as adults; their parents weren’t told of the arrests and had no chance to step in to support their sons. Two days’ later, with his parents still unaware of the arrest, Lawton killed himself. He was found with the police charge sheet at his feet. Lawton’s parents believe their son feared his arrest for drink driving had ‘closed the door on his future’. ‘As a 17-year-old, he didn’t have the experience and resilience to cope with it and see past it.’ He had, they added, ‘been frightened to death’ by the experience. Both the Lawtons and Thornbers supported the recent court action. Today’s teens have it drummed into them by schools, politicians and parents (and I am as guilty of this as anyone), that they are playing for high stakes: if they don’t have the best possible CV, their prospects will be blighted in the race for jobs and university places. Is it any wonder that when things go wrong, in the absence of older and wiser counsel, they actually believe a single mistake means an irretrievably ruined future? It’s perhaps no coincidence that both Thornber, who was a former head boy and talented lacrosse player, and Lawton seem to have been particularly ambitious and high-achieving. The legal quirk that kept their families from even knowing they were in trouble is as heartless as it is illogical. The police station is the only part of the criminal justice system where 17 year olds are treated as adults. Once cases get to court, it has long been recognised that someone their age needs additional support and protections. Any defence solicitor will tell you that what is said and done in the police station can have serious consequences for the rest of a case. Harm which could have been avoided or minimised by careful, informed advice can be all but impossible to undo later on. A young person, desperate to get home before their parents find out, who admits guilt and accepts a police caution will have no idea of the seriousness of that decision. Until a ruling earlier this year, even the most youthful misdemeanour could be revealed to employers decades later. In one case, a 17-year-old was turned down for a part-time job in a local football club because he was cautioned when he was 11 for stealing bikes. The caution was disclosed again during a Criminal Records Bureau check when he applied for university four years later. The age at which children become adults is a question for philosophers as much as lawyers. However, it is surely an aberration that someone who is not trusted to buy a drink in a pub, or vote in an election, is deemed mature enough to face arrest, with no sympathetic adult on hand to advise. This government regularly spouts off about the importance of good parenting. It is to their great discredit then that they opposed the change, claiming it will cost an extra £20m a year (a figure contested by NAAN, which puts it at more like £1.5m). But they can’t have it both ways. Even leaving aside political rhetoric about the importance of families, there have been consistent moves in recent years to make parents legally liable for their children. Last year, over 40,000 of them were fined because of their child’s truancy. 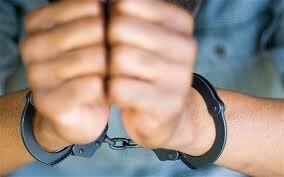 In extreme cases, parents of truants can go to prison. Youth courts can now impose parenting orders, and parents can wind up at the adult magistrates court, and fined up to £1,000, if their child continues to misbehave by, say, ignoring curfews. While the recent ruling is welcome, there is no room for complacency. Even where safeguards exist in the criminal justice system, they are not always followed, as we saw during the 2011 riots, when sleep-deprived children as young as 13 were brought into court at two or three o’clock in the morning, some after having spent 48 hours in a police cell. At least now, thanks to Lord Justice Moses’ good sense, it is now officially recognised that 17-year-olds should be treated as children first, and (alleged) offenders, second.